Those of us who remember life before our smartphones can recall a day when we didn’t have the answers to most of our questions at our fingertips. We couldn’t ask Siri, Cortana, Alexa, or Google. We would either attempt to figure things out on our own or enlist the help of another human being willing to share their wisdom. That may sound curmudgeonly, but that’s not the intent…I prefer the luxuries of knowledge that technology provides. Today, we don’t think twice about consulting our GPS on how best to get to our destination before we leave our driveway. Many of us blindly follow the turn by turn directions and none of us are surprised when we land at our destination at the exact time that magic machine predicted we would. When we compare the process 10 years ago of navigating our way to an unfamiliar yet desired destination, we recognize how different it was then. We guessed as to which was the best route, made a few wrong turns along the way, and ran into road construction detouring our path. Some of us might have pulled into a local gas station to ask someone familiar with the area to point us in the right direction. With a few simple questions, we learned just how far away we actually were and how best to navigate the rest of the journey by someone who knew how to get there based on experience. We also learned how eager others are to help us find our way. 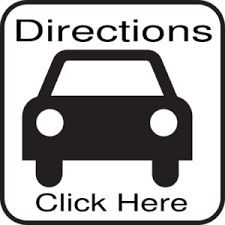 Had we asked for directions earlier, we would have experienced less stress, arrived on time, and not gotten (as) lost. Directions or otherwise, today we all look to computers for the answers, yet relatively few consult fellow human beings for wisdom. Many of us benefit from having mentors in our lives; people who help us navigate various aspects of life based on both their personal experiences and the wisdom others have shared with them over the years. Unfortunately, I am continually reminded of how many people don’t have mentors. Beyond that, I am growing increasingly aware of how uncomfortable many people are in asking another human for assistance. I learned long ago that we won’t hear someone else say “Yes” to our request if we don’t ask. If we don’t ask, the answer is always “No.” Don’t get me wrong, I used to have a really hard time grasping this concept and would let my pride and shyness get in the way. Unfortunately, that prideful shyness was often interpreted as quiet arrogance, which couldn’t be further from the reality. Last week, I saw a teammate reach out to a well-known retired Admiral with an invitation to come speak at our Command as part of our Developing Leaders guest speaker series. The Admiral appreciated being asked and happily accepted the invitation. My teammate was surprised by the response. I wasn’t. Over the course of my career, I have reached out to many people for direction. Nearly all of them have made the time to provide me with their advice, and all of them appreciated the opportunity to be consulted. As a matter of practice, I ask each new member of our team if they have a mentor and roughly 75% respond in the negative. I remind them that such a relationship is vital to our development, expedites our progress, and prevents us from making as many wrong turns as we would otherwise. I also point out that such a relationship only happens when someone takes the initiative to ask for directions. Someone has to go first. Are you comfortable asking for directions? How do you feel when someone asks you for directions? What opportunity is your pride preventing you from seizing?